The CHARLES VILLAGE EXCHANGE is a contemporary, shared work space in a flexible, non-corporate atmosphere… A vibrant, flexible space that supports different work styles by providing you with dedicated individual space for focus and communal areas for collaboration and socializing. 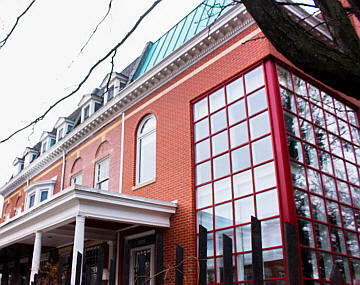 At the Charles Village Exchange our office is your office! A place for intrepid entrepreneurs, visionary ventures, stalwart stints, and hardworking professionals of all stripes. 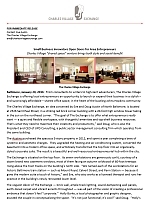 Click the tabs below for details about the Charles Village Exchange. 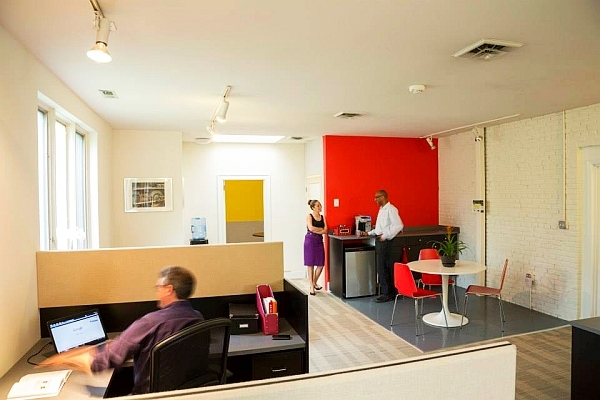 The Charles Village Exchange offers several professional co-working spaces for short and long term lease. We know that today’s workers may need to break out of the home office or the coffee shop to boost their productivity and creativity. Our spacious work-stations offer just the right combination of dedicated personal work space and communal networking areas. And our well equipped conference room and phone booth are there for you when you need to meet with outside colleagues either in person, on the phone, or virtually. Oh, and the coffee is on us! "I love working at Charles Village Exchange. It's great to have an office to go to with friendly people located in the heart of Charles Village - with a nice open office space and walking distance to many places for lunch and to run errands." 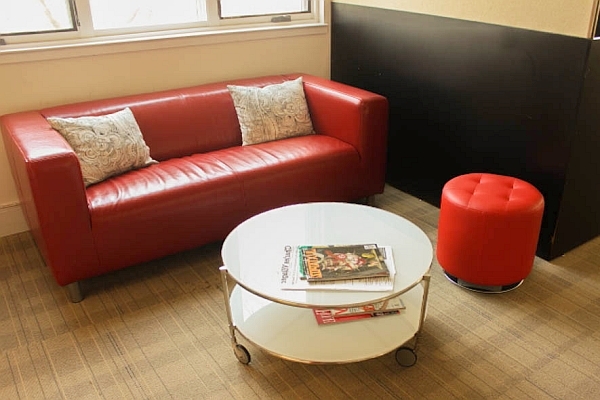 At Charles Village Exchange, our rental options are flexible! * Multiple desks are available at a discount. These documents may be outdated or in draft format. New documents will be provided to you upon request or at lease-signing. A dedicated personal work station with locking cabinet. Free WI-FI and ethernet connection at each desk. Fully equipped conference room with speaker phone and projector. Private phone booth for extended phone conversations. 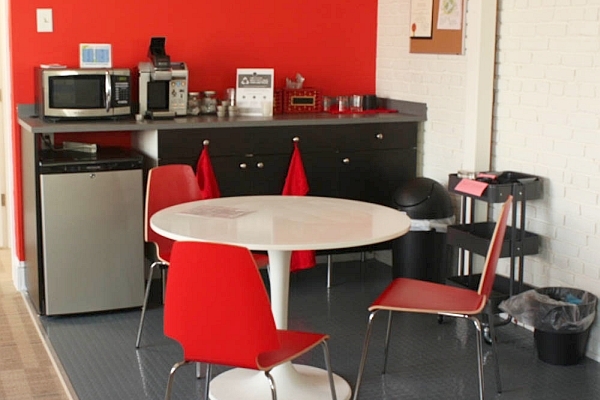 Unlimited COFFEE, water cooler, microwave and refrigerator. Fax, printer, copier, scanner and supplies. Full bathroom with shower for cyclists. 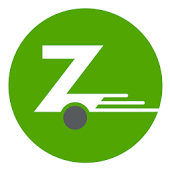 Discounted Zipcar membership plus 10% off for Zipsters. NO LONG TERM COMMITMENTS. Flexible month-to-month rental options. No hassles of downtown traffic! 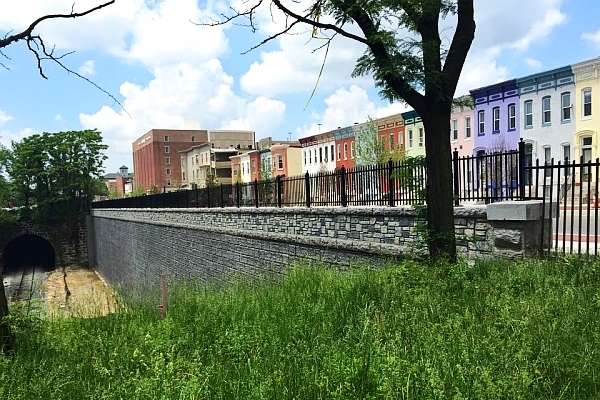 The Charles Village Exchange has a “Walk Score” of 85 out of 100. This address is very walkable as most errands near 2526 Saint Paul Street can be accomplished on foot. 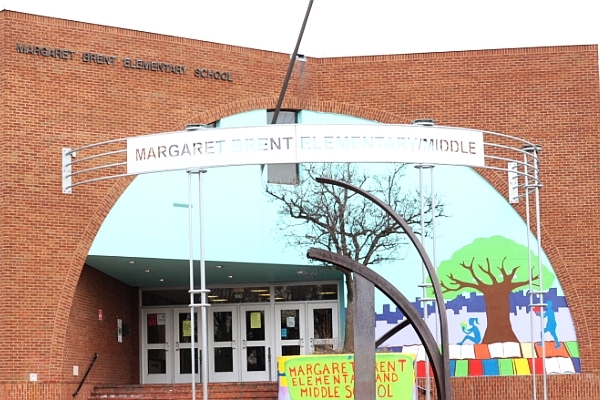 Transportation: MTA buses 3 and 61 stop directly across from the Village Learning Place (VLP), and several other buses run on nearby streets. Bike friendly (bike lane on St. Paul). We have a bike rack where bikes can be parked and locked. We also have a shower for eco-friendly cyclists who want to freshen up after taking the bike lane to the office. Post office - 3000 Homewood Ave.
PNC Bank - 12 E. 25th St.
Bank of America 2530 N. Charles St. Shipping, Large-Scale Printing, Copying - FedEx Office Print & Ship Center, 3003 N Charles St.
Safeway - 2401 N Charles St.
Eddies - 3117 St. Paul St.
Pharmacy - CVS Pharmacy, 2504 N Charles St.
Library - Enoch Pratt Free Library. Newly renovated Waverly Branch. 400 E. 33rd St.
Dry cleaner - St. Paul Cleaners, 3120 St Paul St.
Gym - Weinberg Family YMCA, 900 E 33rd St. Dining: - Many coffee shops, restaurants, take-out shops. Welcome to your new office space! 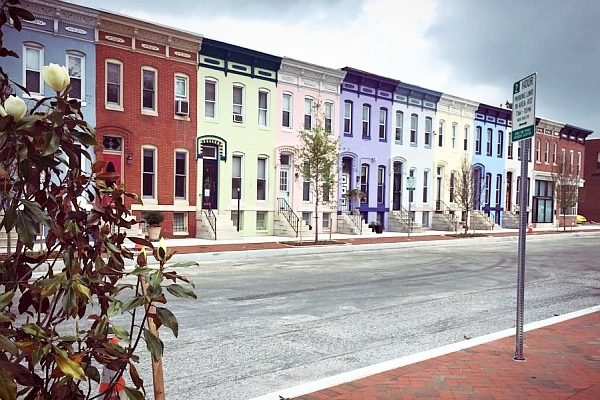 The Charles Village Exchange is located within an historic Baltimore row house that has been beautifully renovated and converted to commercial space. 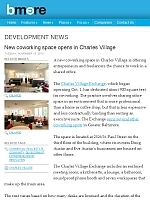 From consultants to writers to high-tech adventurers, The Charles Village Exchange is offering local entrepreneurs an opportunity to launch or expand their business in a stylish – and surprisingly affordable – shared office space, in the heart of the bustling Johns Hopkins community. Our mission is to provide what entrepreneurs really want—a quiet, yet fun and flexible workspace with thoughtful amenities and flexible leasing options. We offer a professional ambience without that “corporate” vibe. We are situated on the top floor of a renovated historic building that has been artistically transformed into a comfortable and welcoming co-working suite. Our seven workstations are generously sunlit, courtesy of a dozen brand new casement windows, most of them facing an autumn wildwood of 60-foot treetops rising above the train tracks on the building’s north side. Each of the workstations is named for an historic Baltimore train station — such as Mount Royal, Calvert Street, and Penn Station — giving the modern suite a touch of history. We attract a wide range of freelancers, entrepreneurs, and telecommuters including a photographer, graphic designer, IT professional, NASA aerospace engineer, journalist, musician, and community activist. We love the vibrant community that works and exchanges ideas here and we are always looking to expand. We hope you will join us and become an exchanger too! 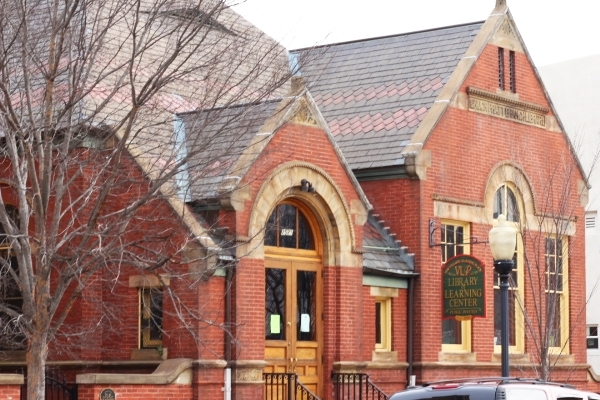 The Charles Village Exchange is a well equipped entrepenureal hub located at 2526 Saint Paul Street, in a striking red brick corner building with a 20-foot high window tower taking in the sun on the northeast corner. "I love working at the Exchange--it's a beautiful space, filled with wonderful people. Highly recommend to anyone who's looking for a place to hang their hat (or plug in their Macbook) around Baltimore." Check back frequently as new photos will be added soon.